As the Oilholic prepares to bid goodbye to Dubai, the G7 group of finance ministers have griped about rising oil prices and called on oil producing nations to up their production. 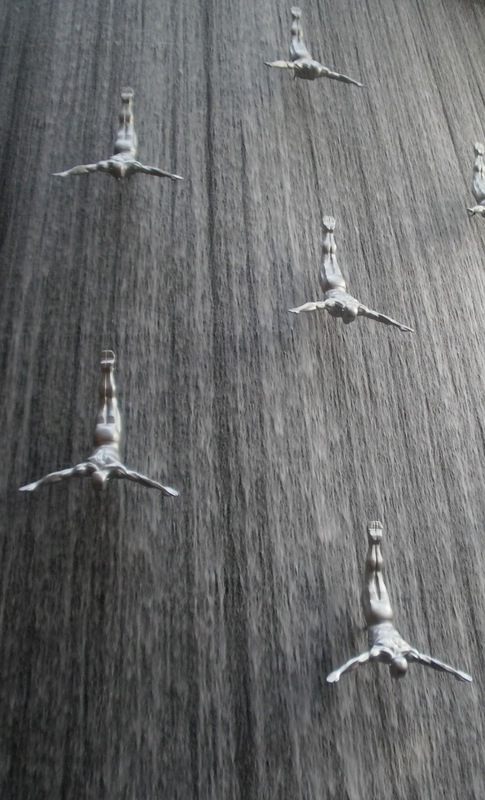 They would rather have Dubai Mall’s Waterfall with Divers enclosure (pictured left) act as a metaphor for market direction! It is causing some consternation in this OPEC member jurisdiction and so it should. First the facts – in a communiqué released on the US Treasury’s website yesterday, the G7 ministers say they are concerned about the impact of rising oil prices on the global economy and were prepared to act. Going one step further the ministers called on producing nations, most read OPEC, to act and now. "We encourage oil producing countries to increase their output to meet demand. We stand ready to call upon the International Energy Agency (IEA) to take appropriate action to ensure that the market is fully and timely supplied," the statement notes. We have been here before back in March when American motorists were worried about prices at the pump and President Barack Obama was in a political quandary. Now of course he is barely months away from a US Presidential election and here we are again. In fact the Canadians aside, all leaders elsewhere in the G7 are facing political pressure of some kind or the other related to the crude stuff too. Cue the statement and sabre rattling of releasing strategic petroleum reserves (SPRs)! OPEC and non-OPEC producers' viewpoint, and with some reason, is that the market remains well supplied. Unfortunately plays around paper barrels and actual availability of physical barrels have both combined to create uncertainty in recent months. Al Fathi further notes that the (West/Israel’s) confrontation with Iran is still on, but it is not expected to flare up. “Even the embargo on Iranian oil is slow to show in numbers, but may become more visible later,” he adds. While an oil shock following an Israeli attack on Iran could be made up by spare capacity, the room for another chance geopolitical complication or natural disaster would stretch the market. This is what spooks politicians, a US President in an election year and the market alike. However, rather than talk of releasing SPRs for political ends now and as was the case in June 2011, the Oilholic has always advocated waiting for precisely such an emergency! While it has happened in the past, it is not as if producers have taken their foot off the production pedal to cash in on the prevailing bullish market trends at this particular juncture. Away from G7’s gripe, regional oil futures benchmark – the Dubai Mercantile Exchange (DME) Oman Crude (OQD) – has caught this blogger’s eye. 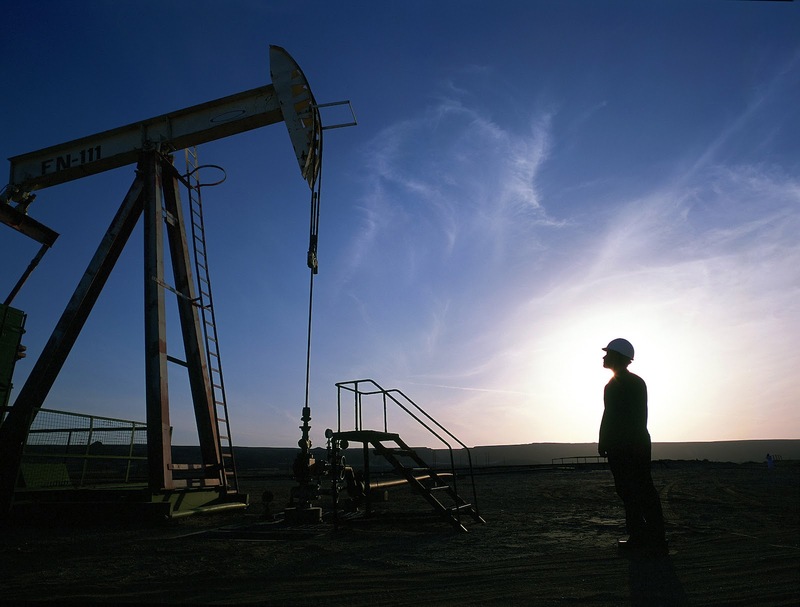 Oman’s production is roughly below 925,000 barrels per day (bpd) at present. For instance, in June it came in at 923,339 bpd. However, this relatively new benchmark is as much about Oman as Brent is about the UK. It is fast acquiring pan-regional acceptance and the November futures contract is seen mirroring Brent and OPEC basket crude prices. Its why the DME created the contract in the first place. Question is will it have global prowess as a 'third alternative' one day? Elsewhere, the UAE has begun using the Abu Dhabi Crude Oil Pipeline (ADCOP). It will ultimately enable Abu Dhabi to export 70% of its crude stuff from Fujairah which is located on the Gulf of Oman bypassing the Strait of Hormuz and Iranian threats to close the passage in the process. However the 400km long pipeline, capable of transporting 1.5 million bpd, comes at a steep price of US$4 billion. Sticking with the region, it seems Beirut is now the most expensive city to live in the Middle East according to Mercer’s 2012 Worldwide Cost of Living survey. 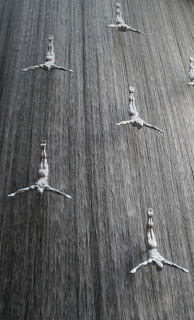 It is followed by Abu Dhabi, Dubai (UAE), Amman (Jordan) and Riyadh (Saudi Arabia). On a global footing, Tokyo (Japan) tops the list followed by Luanda (Angola), Osaka (Japan), Moscow (Russia) and Geneva (Switzerland). Meanwhile unlike the ambiguity over Dubai’s ratings status, Kuwait has maintained its AA rating from Fitch with a ‘stable’ outlook supported by rising oil prices and strong sovereign net foreign assets estimated by the agency in the region of US$323 billion in 2011. Finally, on a day when the International Atomic Energy Agency (IAEA) says Iran has doubled production capacity at the Fordo nuclear site, Tehran has called for ridding the world of nuclear weapons at the Non Aligned Movement (NAM) summit claiming it has none and plans none. Yeah right! And the Oilholic is dating Cindy Crawford! 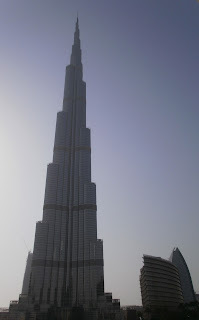 That’s all from Dubai folks; it’s time for the big flying bus home to London! Keep reading, keep it ‘crude’! If you could think of one participant in the Dubai economy that exemplifies a bit of a detachment from its debt fuelled construction boom turned bust, then the Emirates National Oil Company (ENOC) is certainly it. The Oilholic has always been one for contrasting Dubai’s debt fuelled growth with neighbour Abu Dhabi’s resource driven organic growth. However, ENOC is a somewhat peculiar exception to the recent Dubai norm or some say form. Since becoming a wholly owned Government of Dubai crown company in 1993, ENOC has continued to diversify its non-fuel operations while playing its role as a custodian of whatever little crude oil reserves the Emirate holds. The history of this NOC dates to 1974. Today it is among the most integrated (and youngest) operators in the business, though not necessarily profitable in a cut throat refining and marketing (R&M) world. 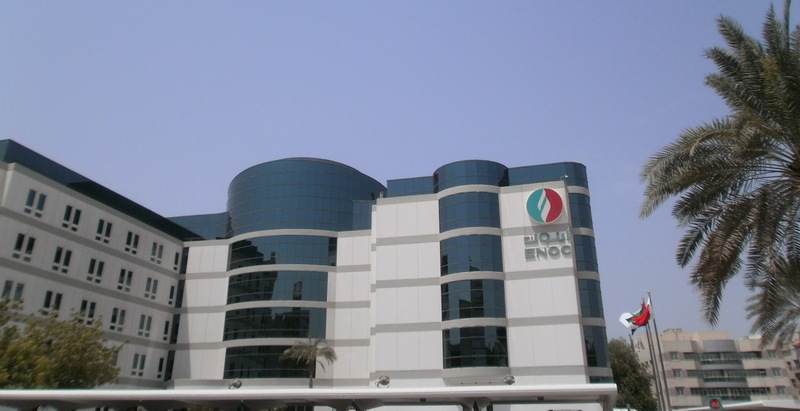 While it has no operations in neighbouring Abu Dhabi, ENOC has moved well beyond its Dubai hub establishing a foothold in 20 international markets and other neighbouring Emirates over the years. In case, you didn’t know or had never heard of ENOC, this Dubai crown company has a majority 51.9% stake in Dragon Oil Plc; a London-listed promising upstart. Dragon Oil’s principal producing asset is the Cheleken Contract in the eastern section of the Caspian Sea under Turkmenistan’s jurisdiction. Despite trying times for refiners ENOC’s Jebel Ali Refinery, situated 40km southwest of Dubai City, is the crown company’s crown jewel. Planned in 1996 and completed by 1999, the Jebel Ali refinery’s processing capacity currently stands at 120,000 barrels per day (bpd). It processes condensate or light crude to myriad refined products which get exported as well as feed in to ENOC's own domestic supply chain. ENOC says an upgrade of the refinery was carried in 2010 at a cost of US$850 million. The refinery dominates the landscape of the Jebel Ali free trade zone accompanied by a sprawling industrial estate and an international port. The Oilholic is reliably informed that the latter is among the largest and busiest ports in the region playing host to more ships of the US Navy than any other in the world away from American shores. While being able to host aircraft carriers is impressive, what’s more noteworthy from a macroeconomic standpoint is the fact that the Jebel Ali Free Trade Zone as a destination exempts companies relocating there from corporate tax for fifteen years, personal income tax and excise duties. It’s a privilege to have visited Jebel Ali and also by ‘crude’ coincidence witness ENOC sign a joint venture agreement with Saudi Arabia’s Aldrees Petroleum & Transport Services Company (Aldrees) for setting up service stations in different locations across the latter. The equal-staked venture will see service stations in Saudi Arabia feature ENOC’s regional marquee brand products. The first station is expected to open early next year, with the number of sites rising to 40 in due course. Given that ENOC needs to buy petroleum from international markets as Dubai does not produce enough of the crude stuff, the move has much to do with cost mitigation on the home front. ENOC is forced to sell fuel at Dubai petrol pumps well below the price it pays for crude and refining costs. For instance, over 2011 fuel sales losses at ENOC were thought to be in the US$730-750 million range. So here’s a NOC with profitable non-fuel businesses but troubling fuel businesses looking for ‘crude’ redemption elsewhere. That’s all for the moment folks; a final word from Dubai later! Keep reading, keep it ‘crude’! © Gaurav Sharma 2012. Photo 1: ENOC Bur Dubai Office, UAE. Photo 2: Jebel Ali Refinery and Industrial Estate, Dubai, UAE © Gaurav Sharma 2012. It is good to be back in the Emirate of Dubai to catch-up with old friends and make yet newer ones! In the scorching heat of 41 C, sitting inside an English Pub (sigh…someone tell these guys yours truly just got off the plane from England) at a hotel right next to ENOC’s Bur Dubai office, new research of a ‘crude’ nature has thrown-up plenty of talking points here. It seems that a report published this morning by business intelligence provider GlobalData projects capital expenditure in the global oil & gas business to come in at US$1.039 trillion by the end of December 2012; a rise of 13.4% on an annualised basis. However, no prizes for guessing that E&P activity would be the primary driver. 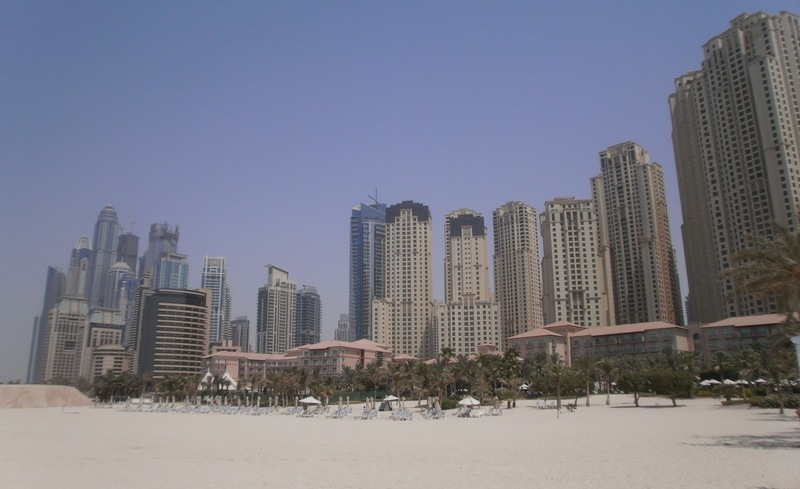 GlobalData predicts Middle Eastern and African capital spend would be in the region of US$229.6 billion. The figure has been met with nods of approval here in Dubai though one contact of the Oilholic’s (at an advisory firm) reckons the figure is on the conservative side and could be exceeded by a billion or two. North America is likely to witness the highest capex with a US$254.3 billion spend; a 24.5% share of the 2012 figure. GlobalData reckons that renewed market confidence is a direct consequence of the increasing number of oil & gas discoveries (which stood at 242 over 2011 alone), high (or rather spiky) oil prices and emerging and cost effective drilling technologies making deep offshore reserves technically and financially viable. So the ‘All hail shale brigade’ and ‘shale gale’ stateside along with Canadian oil sands would be the big contributors to the total North American spend. The Asia Pacific region could pretty much spend in the same region with a capex of US$253.1 billion. Only thing is, while the Middle Eastern and Chinese NOCs are in the predictable data mix, GlobalData notes that for the 2012–2016 period it is Petrobras which ranks first for capex globally amongst NOCs. As a footnote, ExxonMobil will be atop the IOC list. That’s all for the moment folks! More from Dubai later. Keep reading, keep it ‘crude’! © Gaurav Sharma 2012. 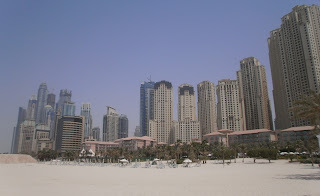 Photo: View of city skyline from Jumeriah beach, Dubai, UAE © Gaurav Sharma 2012. At times wild swings in the crude market’s mood do not reflect oil supply and demand fundamentals. The fundamentals, barring a geopolitical mishap on a global scale, alter gradually unlike the volatile market sentiment. However, for most parts of Q2 and now Q3 this year, both have seemingly conspired in tandem to take the world’s crude benchmarks for a spike and dive ride. Supply side analysts have had as much food for thought as those geopolitical observers overtly keen to factor in an instability risk premium in the oil price or macroeconomists expressing bearish sentiments courtesy dismal economic data from various crude consuming jurisdictions. For once, no one is wrong. A Brent price nearing US$130 per barrel in mid-March (on the back of Iranian threats to close the Strait of Hormuz) plummeted to under US$90 by late June (following fears of an economic slowdown in China and India affecting consumption patterns). All the while, increasing volumes of Libyan oil was coming back on the crude market and the Saudis, in no mood to compromise at OPEC, were pumping more and more. Then early in July, as the markets were digesting the highest Saudi production rate for nearly three decades, all the talk of Israel attacking Iran resurfaced while EU sanctions against the latter came into place. It also turned out that Chinese demand for the crude stuff was actually up by just under 3% for the first six months of 2012 on an annualised basis. Soon enough, Brent was again above the US$100 threshold (see graph on the right, click to enlarge). Fast forward to the present date and the Syrian situation bears all the hallmarks of spilling over to the wider region. As the West led by the US and UK helps rebels opposed to President Bashar al-Assad, Russia is seen helping the incumbent; not least via a recent announcement concerning exchange of refined oil products from Russia for Syrian crude oil exports desperately needed by the latter. A spread of hostilities to Lebanon, Jordan, Turkey and Iraq could complicate matters with the impact already having been seen in the bombing of Iraq-Turkey oil pipeline. Additionally, anecdotal evidence suggests the Saudis are now turning the taps down a bit in a bid to prop up the oil price and it appears to be working. The Oilholic will be probing this in detail on visit to the Middle East next week. While abysmal economic data from the Old Continent may not provide fuel – no pun intended – to bullish trends, one key component of EU sanctions against Iran most certainly will. A spokesperson told the Oilholic that tankers insured by companies operating in EU jurisdictions will lose their coverage if they continue to carry Iranian oil from July. Since 90% of the world's tanker fleet – including those behemoths called ‘supertankers’ passing through dangerous Gulf of Aden – is insured in Europe, the measure could take out between 0.8 and 1.1 million barrels per day (bpd) of Iranian oil from Q3 onwards according an Istanbul-based contact in the shipping business. In fact OPEC’s output dipped by 70,000 bpd in month over month terms to 31.4 million bpd in July on the back of a 350,000 bpd drop in June over May. No prizes for guessing that of the 420,000 bpd production dip from May to July – 350,000 bpd loss is a direct result of the Iranian squeeze. Although Tehran claims it is a deliberate ploy. With an average forecast of a rise in consumption by 1 million bpd over 2012 based on statements of various agencies and independent analysts, price spikes are inevitable despite a dire economic climate in Europe or the OECD in general. Cast aside rubbish Iranian rhetoric and throw in momentary geopolitical supply setbacks like the odd Nigerian flare-up, a refinery fire in California or the growing number of attacks on pipeline infrastructure in Columbia. All of these examples have the potential to temporarily upset the apple cart if supply is tight. “Furthermore, traders are wising up to fact that a price nudge upwards these days is contingent upon non-OECD consumption patterns and they hedge their bets accordingly. WTI aside, most global benchmarks look towards the motorist in Shanghai more than his counterpart in San Francisco these days,” says one industry insider of his peers. When the Oilholic last checked at 1215 BST on August 23, the ICE Brent October contract due for expiry on September 13 was trading at US$115.95 while the NYMEX WTI was at US$97.81. It is highly likely that ICE Brent forward futures contracts for the remaining months of the year will end-up closing above US$110 per barrel, and almost certainly in three figures. Nonetheless, prepare for a rocky ride over Q4! Moving away from pricing of the crude stuff, it seems the shutdown of Penglai 19-3 oilfield by the Chinese government in wake of an oil spill last year has hit CNOOC’s output and profits. 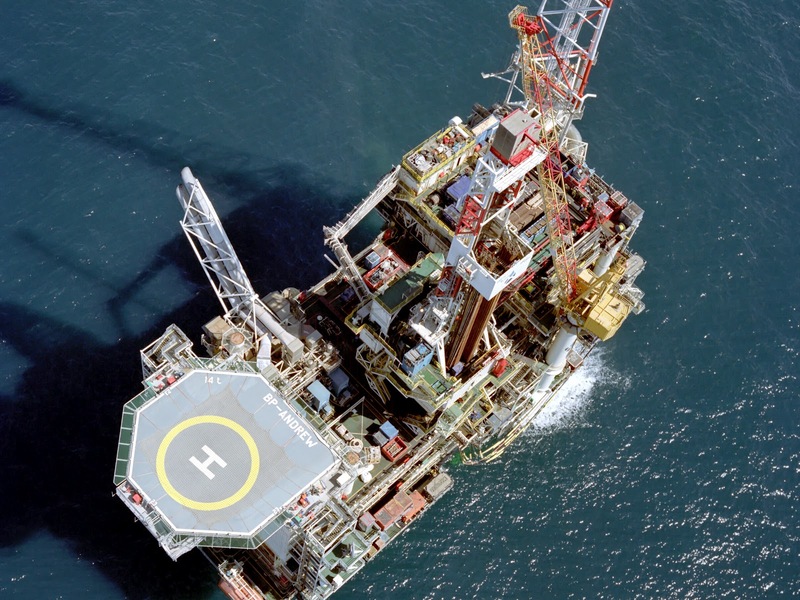 According to a recent statement issued at Hong Kong Stock Exchange, CNOOC saw its H1 2012 output fall 4.6% on an annualised basis owing to Penglai 19-3 in which it holds 51% of the participating interest for the development and production phase. ConocoPhillips China Inc (COPC) is the junior partner in the venture. This meant H1 2012 net income was down by 19% on an annualised basis from Yuan 39.34 billion to Yuan 31.87 billion (US$5 billion) according to Chief Executive Li Fanrong. CNOOC's US$15.1 billion takeover of Canada’s Nexen, a move which could have massive implications for the North Sea, is awaiting regulatory approval from Ottawa. Away from the “third largest” of the big trio of rapidly expanding Chinese oil companies to a bit of good news, however temporary, for refiners either side of the pond. That’s if you are to believe investment bank UBS and consultancy Wood Mackenzie. UBS believes that for better parts of H1 2012, especially May and June, refining margins were at near “windfall levels” as the price of the crude stuff dipped in double-digit percentiles (25% at one point in the summer) while distillate prices held-up. Wood Mackenzie also adds that given the refiners’ crude raw material was priced lower but petrol, diesel and other distillates remained pricey meant moderately complex refiners in northwest Europe made a profit of US$6.40 per barrel of processed light low sulphur Brent crude in June, compared with the average profit of 10 cents per barrel last year. 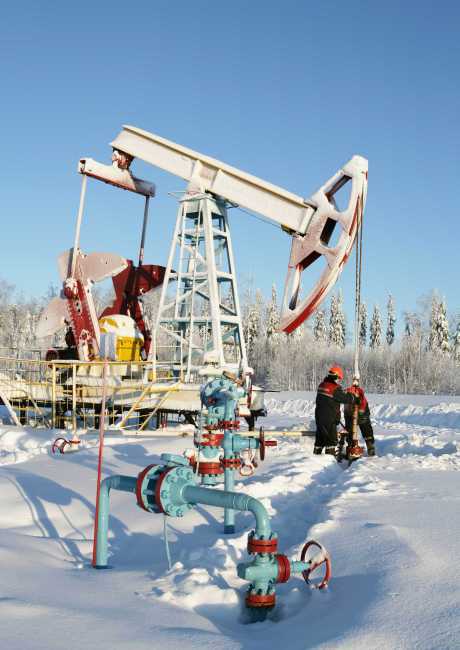 The June margin for medium, high sulphur Russian Urals crude was a profit of US$13.10 per barrel compared with the 2011 average of US$8.70, the consultancy adds. American refiners had a bit of respite as well over May and June. Having extensively researched refining investment and infrastructure for over two years, the Oilholic is in complete agreement with Société Générale analyst Mike Wittner that such margins are not going to last (see graph above, click to enlarge). To begin with the French investment bank and most in the City expect global refinery runs to drop shortly and sharply to -1.3 million bpd in September versus August and -0.8 million bpd in October versus September. Société Générale also remains neutral on refining margins and expects them to weaken on the US Gulf Coast, Rotterdam and the Mediterranean but strengthen in Singapore. Yours truly will find out more in the Middle East next week. That’s all for the moment from London folks! Keep reading, keep it ‘crude’! © Gaurav Sharma 2012. Photo 1: Russian oil pump jacks © Lukoil. Graph 1: Comparison of world crude oil benchmarks (Source: ICE, NYMEX, SG). Graph 2: World cracking margins (US$/barrel 5 days m.a) © SG Cross Asset Research, August 2012. Where South Sudan fits in the oil world has troubled ‘crudely’ inclined geopolitical analysts for some time now. The country celebrated the first anniversary of its creation on July 9th. But there is little to cheer about yet for South Sudan which inherited over 75% of parent Sudan’s proven oil reserves but is overtly reliant on the latter’s infrastructure to bring it to market. Sources with expertise as well as anyone with a modicum of interest in current events would agree that South Sudan’s outlook is bleak at best and abysmal at worst following decades of conflict. That’s notwithstanding a prolonged border dispute with the North, 170,000-plus refugees and tension over oil revenues which have only just shown signs of easing. While it is early days, on August 4th a Reuters’ flash stating that the North and South sides had pulled back from the brink of war and finally agreed on oil transit payments was widely welcomed from trading floors to the Office of US Secretary of State Hillary Clinton. And what has emerged so far is a relief for everyone from Elf to Total, from OMV to CNPC; the Chinese being the biggest players in Sudan. Of the seven exploration blocks, CNPC is majorly involved with four in case you didn’t know. Yet deep down everyone, not least the Oilholic, is pragmatic enough to acknowledge that the time to uncork the champagne is not here yet. This humble blogger was not in the Ethiopian capital of Addis Ababa where the agreement was reached, but courtesy dispatches from kindred souls in diplomatic circles it is known that South Sudan agreed to pay North Sudan just over US$9.05 per barrel for usage of its transport, supply and logistics infrastructure to move the crude stuff to Port Sudan. However, nearly a fortnight on from the announcement, we still await an announcement about when the South will resume oil exports which were stopped in January. That said North Sudan will receive US$3 billion as compensation for revenue lost in that period. The agreement is not the end of South Sudan’s problems. Without even having meaningfully exploited its precious resources, the world's newest nation is already a case study for the resource curse hypothesis. With oil production having only begun in 2005 and anti-graft measures either side of the border being ‘less than worse’, it can be safely concluded that South Sudan is more likely to resemble a 1970s Nigeria than a 2012 Botswana. If the Americans press South Sudan to act on graft they are labelled as arrogant, the South Africans as patronising, the Brits as colonials and so on in populist circles even if the government is partially listening. The Chinese way to calm the situation either side of the disputed border and improving things is by offering to buy the crude stuff at above existing market rates (as they did in February). Clue – nothing is going to change meaningfully anytime soon. Alas, with a production peak for existing facilities forecast for 2020, a turnaround is needed and fast! At least a plan to move away from overreliance on the North by building a pipeline to Kenya is a positive if it materialises. Happy Belated Birthday South Sudan! Away from Sudanese problems, but sticking with the African continent – Nigeria has signed an ‘initial’ agreement with USA’s Vulcan Petroleum Resources Ltd.; a Vulcan Capital Management SPV, to build six new oil refineries worth US$4.5 billion. If ‘initial’ becomes ‘final’ and the deal materialises, it would add to the four refineries Nigeria already has increasing refining capacity by 180,000 barrels per day. For a country which is Africa’s largest oil exporter but a net importer of refined distillates, the Oilholic has always opined that seeing is believing. So we’ll believe when we see and greet the announcement with cautious optimism. Moving to some corporate news which also has an African flavour, its emerged that Edinburgh-based independent upstart Melrose Resources has announced a merger with Ireland’s Petroceltic. Both companies will now merge operations in North Africa along with Black Sea and the Mediterranean. The new company will have Petroceltic’s branding and will be headquartered in Ireland. The merger values Melrose at £165 million with Petroceltic shareholders having a 54% stake in the merged company and Melrose shareholders having the rest. Sounds like a sound move! On Wednesday, Saudi Aramco said it was subject to a virus attack but did not acknowledge whether it was a Shamoom attack. A spokesperson said Aramco had now isolated its computer networks as a precautionary measure while stressing that the attack had no impact on its production. Virulent times in the crude world. That’s all for the moment folks! Keep reading, keep it 'crude'! The British government announced fresh tax relief measures last week aimed at boosting output in the North Sea. The Oilholic’s first thought, after having scrutinised the small print, is that it’s a positive signal of intent from UK chancellor George Osborne following on from his 2012 union budget. In all fairness he is also looking to put the taxation measures of 2011 budget, which irked the industry, behind him. From July 25th, new UKCS gas fields with 10-20 billion cubic metres (bcm) in reserves located at depths of less than 30 metres will be exempted from a 32% tax levy on the first £500 million (or US$776 million) of income. Shallow water offshore projects will still pay the 30% Ring Fence Corporation Tax on all income from the field. UK Treasury figures suggest the measure is expected to cost £20 million per annum in reduced tax receipts, but the government reckons it would generate additional jobs and crucially bolster energy security. Chancellor Osborne said, "Gas is the single biggest source of energy in the UK. Today the government is signalling its long-term commitment to the role it can play in delivering a stable, secure and lower-carbon energy mix." A new UK gas strategy is expected this autumn and all indications are that the British will acknowledge the critical role of the gas market in meeting emissions targets alongside a mix of subsidy supported renewable projects. Another passive acknowledgement then that gas, not renewable energy platforms, would be the immediate beneficiary of a post-Fukushima turn-off? In fact the Oilholic and quite a few others are convinced that gas-fired plants would play a more than complementary role in a future British energy mix. The latest tax relief, aimed at shallow water gas prospection is proof of this. Derek Henderson, senior partner in the Aberdeen office of Deloitte, also believes the move builds on UK March’s Budget when a number of other reliefs were announced. “This announcement should further support investment, unlock potential gas reserves and increase long term production leading to additional employment and an increase in overall tax revenue,” he said. “This encouraging action by the Chancellor also provides more evidence of the constructive dialogue that is taking place between industry and the Government. The politicians are demonstrating their commitment to gas, it is now up to the industry to respond with increased activity levels,” Henderson concludes. Centrica pledged to invest £1.4 billion towards developing its Cygnus gas field with partner GDF Suez barely hours after the announcement of the tax relief. Six days later Prime Minister David Cameron came ‘up North’ to pledge his support to the sector. “If everything goes well in the oil sector and the renewables sector, is really important, high-quality manufacturing. I think that's something to celebrate and something to stand up for," he said speaking at Burntisland Fabrications in Fife. The company has just won a contract from Premier Oil to create structures for their platform destined for the Solan oilfield development, west of Shetland. Burntisland Fabrications said the contract will create an additional 350 jobs. 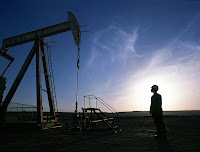 UK’s Department of Energy and Climate Change (DECC) greenlighted Premier Oil’s plans for the Solan oilfield in April. The field could produce up to 40 million barrels of oil, with a projected production commencement rate of 24,000 barrels per day from Q4 2014. Given the amount of activity in the area, looks like a lot work might be coming from developments west of Shetland and it’s great to see the Prime Minister flag it up. Meanwhile oil giant BP posted a sharp fall in Q2 2012 profits after it had to cut the value of a number of its key assets. The company made a replacement cost profit, outstripping the effect of crude oil price fluctuation, of US$238 million over Q2; versus a profit of US$5.4 billion in the corresponding quarter last year. The cut in valuation was in a number of its refineries and shale play assets. With the TNK-BP saga continuing, BP’s underlying replacement cost profit for Q2 2012, leaving out asset value reductions, dipped to US$3.7 billion versus US$5.7 billion noted in Q2 2011. On the crude pricing data front, both benchmarks have not moved much week on week and price sentiment is still bearish ahead of FOMC and ECB meetings. Given that on the macroeconomic front, the global indicators are fairly mixed, Sucden Financial Research analyst Myrto Sokou believes crude oil prices will continue to consolidate within the recent range. “We saw this today; trading volume remains fairly low as investors would like to remain cautious ahead of the ECB and Fed decisions,” she concluded. Away from pricing and on a closing note, the Oilholic notes another move in the African crude rush. This one’s in Sierra Leone. A fortnight ago, the Sierra Leone government provisionally awarded two offshore exploration blocks – SL 8A-10 and SL 8B-10 – to Barbados registered ODYE Ltd. The said exploration blocks SL 8A-10 and SL 8B-10 contain 2584 sq.km and 3020 sq.km of prospection area respectively. According to the Petroleum Directorate of Sierra Leone, the exploration blocks consist of early to late Cretaceous oil prone marine source rocks, primarily shale, sand and shale basin floor fans, channelised sand sequences and potentially high porosity sands. ODYE says it is looking forward to “working with the other participants in these provisionally awarded blocks, Chevron Sahara and Noble Energy” to develop the assets. So the West African gold rush continues. That’s all for the moment folks! Keep reading, keep it ‘crude’! © Gaurav Sharma 2012. Photo: Andrew Rig, North Sea © BP Plc.